The winner was C. Dingman of Vancouver Washington. 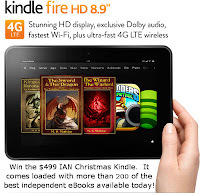 More than 200 eBooks are now heading her way for download to her new Kindle Fire. Sharon Cupp Pennington’s short stories have appeared in numerous online and print venues, with anthology contributions to The Rocking Chair Reader in the Coming Home edition (2004) and Family Gatherings (2005), A Cup of Comfort for Weddings: Something Old, Something New (2007), and Good Old Days Magazine (March, 2007). Her debut novel, Hoodoo Money, was released in May 2008 and the sequel, Mangroves and Monsters, in November 2009. She resides in Texas with her husband, Wayne, where she is currently working on her third novel in this series. The universe is restless. A brilliant inventor has been kidnapped by a group of diseased refugees seeking a cure for their malady. Meanwhile, two agents are in pursuit of a dangerously powerful and deranged scientist who has escaped from prison with a device that can alter reality and enslave every living mind. When an innocent young man just discovering the freedoms and responsibilities of his teenage years is thrown into the mix, the plots collide with thrilling and often surreal results. Jeff Whelan was born near Chicago and did his growing up in the smallish town of DeKalb, Illinois. Taking time to travel up and down the east coast with a carnival in his teens and spending a good part of his 20s living and working in San Francisco, Jeff returned to DeKalb and, to his surprise, found himself settling down and starting a family. Jeff worked 20 happy and fulfilling years in the field of special education. Then, thanks to the high cost of day care, he became a happy and fulfilled stay-at-home parent. Now that his children are both full-time schoolers, he has made his triumphant return to work by day as a special education paraprofessional and remains, by night, a home-based medical transcriptionist. From an idea born in 1982, Jeff's first full-length novel was finally completed in 2001. Ten years later, he discovered the wonders of e-book self-publishing and is delighted to have a way to share his story with readers hungry for a departure from adolescent wizards and teenage vampires. Matters of life and death, it turns out, don't have to be so serious all the time. Jeff hopes you will enjoy his work and ask for more. He'll be happy to oblige. “We’re not exactly at the top of the food chain." The Ministry of Streunberg, a secret cabal of the world's influential elite, has infiltrated the U.S. Government all the way to the White House. Their scheme for global supremacy entails blowing up a 737 airliner carrying an uncooperative genetic microbiologist. But they need the fruit of the doctor's research first—a small package that could unleash mass destruction across the globe. Dissident agent Cleo Matts isn't about to let that happen. But when Matts boards the ill-fated flight, he doesn't count on an ice storm disrupting air traffic across the Midwest. And he doesn't count on rescuing Julia McMichaels, a gorgeous Hollywood sweetheart running from an abusive husband. And he never imagined that the ancient alien watchers would choose this day to interfere in the squabbles of men. 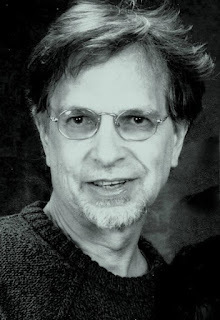 Joe Crubaugh is the author of "Terminal Departure: A Cleo Matts Novel" and many intriguing articles posted on his Hard-boiled Dreams of the World blog. When he's not writing about himself in the third person, Joe spends weekdays masquerading as a software consultant in the ship, plant, and offshore industry. Joe was born in Tupelo, Mississippi (yes, he's an Elvis fan...) and currently resides in Huntsville, Alabama with his wife, three children, and a couple of dogs. 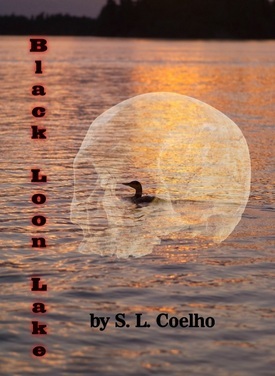 ...If you enjoy that sensation of having your guts twisted up in a knot with fear, you have to read Black Loon Lake! ...awesome. It captured my attention; I didn't want to stop reading until I saw how it ended! ...really good, I loved it. My adult daughter insisted on reading it - she loved it! 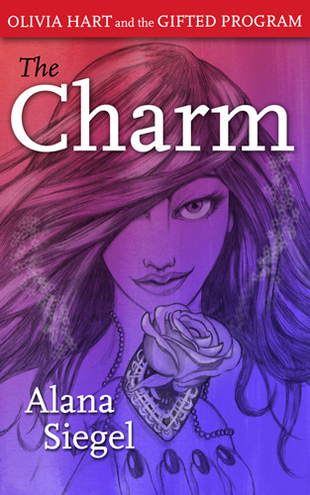 ...vivid, believable characters. Love the ending! Black Loon Lake was always intended to be a novella. People lead busy lives, they're asking for shorter reads which they can fit into their hectic schedules. This novella addresses the need for quick entertainment - it's not a huge time commitment, but a story which will stick with many. As a novelist, I draw on many real life experiences to provide background for my books. After completing studies in Literature and History at Occidental College, I became a staff-writer on a travel magazine, and throughout my career I have traveled extensively all over the world. As a descendant of James Monroe, I did extensive research at the James Monroe Museum in Virginia about him and his wife Elizabeth Kortright Monroe. I also visited their home, Ashlawn/Highland in Albemarle County. 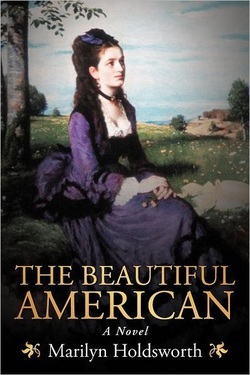 This resulted in my novel, The Beautiful American. Making Wishes, was based partly on my experiences as creator, owner and operator of a greeting card company. 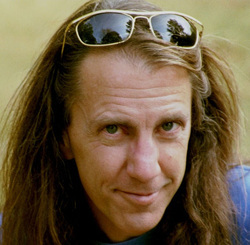 James Paddock, Indie Author and avid reader, was born and raised in the Big Sky Country of Montana. The forty-plus years following high school included a Bachelor of Science degree from the University of Idaho, service with the U.S. Navy, owner/operator of a small business in South Carolina, a career as a Graphic Designer and a marriage that produced 3 fine children, who then have provided bragging rights for many very fine grandchildren. James is a daydreamer and apparently, from what he has been told, was that way as a lad, running around the streets of Great Falls, Montana, making up stories for his cousins. It wasn’t until 1993 that James began writing them down as short stories, graduating to novels at the turn of the century. Since then he has produced 7 full-length novels and a novelette. He is now living in Sahuarita, Arizona with his wife, Penny, enjoying the sun and working on his next novel, a Southern Arizona mystery. Annie seldom thought about her age, certainly never talked about that summer in 1943 when her mother birthed her, about the fact that her mother died that same year, or that it might have been in 1987–there was no way of knowing for sure–or about the fact that after 64 years she had yet to observe her 20th birthday. Already an Iraq War widow, Annie Caschetta must escape the oppressiveness surrounding her and all the memories of her husband of only one year. With the semester over at MIT and the dreaded summer looming upon her, she chooses to escape to a cabin on the edge of Glacier National Park where she can sort through her thoughts and memories alone. However, it is her final, regrettable words during her last few moments with her husband that follow her and continue to haunt her. It is those words which she knows must be fixed, must be unsaid, if she is ever to have a real life again. If only she had a wormhole. IAN. How long did it take to write Time Will Tell? JP. Much too long, for sure. Many changes were going on in my life during the two years that Time Will Tell was taking shape. And then, as most all authors will tell you, the rewrites began, followed by the first trusted reader, then the second rewrite, finishing up with a series of line-by-line editing. All told roughly 2-1/2 years to get it market-ready. IAN. 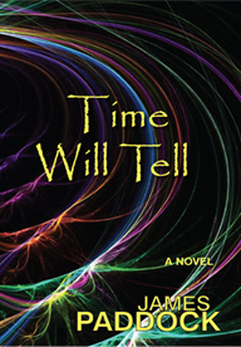 What inspired you to write the Time Will Tell? JP. Time Will Tell’s predecessor, Before Anne After, (the pair form a time-travel duo) left a huge opening for a sequel. Before Anne After, an almost epic length historic time-travel novel, ended with a character loaded with questions: How, when, and where was she born; how, when, and where did her mother die; how does a wormhole work? It would be well over a decade before these questions would begin to surface and nearly to the end of the second decade before the true importance to all these questions sends her on a journey of recovery from her husband’s death, and so Time Will Tell begins. JP. I am strictly a morning person when it comes to mental creativity. Before retiring from the pesky day job, I would spend approximately one hour each morning on my writing craft (writing, editing, researching, daydreaming) before going to work. Weekends would range from two to five hours each day. Of course I need to knock out vacations, mowing the lawn (pre-Arizona), the honey-do list, napping, colds & flu, just generally being lazy… well, you get the picture. JP. I always wing the first draft, that is to say, I’m a pantser. For those who are scratching their heads, pantser refers to writing by the seat of your pants. There is no beginning outline or character profile. I build those as I go, letting the characters tell me who they are. The only character I create is the first one. He, or she, introduces me to the next few and then the story goes organic, heading off in directions I never anticipated with characters I never saw coming. It’s kind of like life, or at least mine. IAN. How is Time Will Tell different from others in your genre? JP. Always a tough question. My stories are unique because they come from my head, no one else’s, or as you might surmise from the previous question, from my characters’ heads. I imagine that could be psycho-babbled into originating in my head. 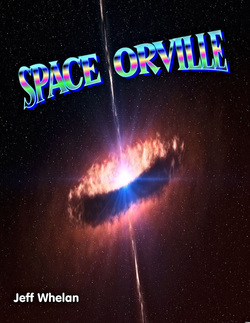 I feel I handled time-travel in a very real way, that is to say I make it believable, not Star-Trek believable or Back to the Future unbelievable, but everyday physics as we know it believable. It’s like reading about our own lives with extra-ordinary circumstances and a number of unexpected surprises. I love to surprise the reader. JP. Time Will Tell and its predecessor, Before Anne After, are available on my publisher’s website, desertbookshelf.com, in both formats, that is trade paperback and e-book. IAN. What do you hope your readers come away with after reading Time Will Tell? JP. I want my readers to feel pleased that they took the time from their lives to experience the story, to cry and laugh, to slide to the edge of their seats and say OMG out loud, and at the end to sit back and say, WOW! IAN. Where can we go to buy Time Will Tell? JP. For those with Kindles and Kindle apps on their devices visit Amazon and search for me by name or title. For those who still hold on to the need for that paper tactile feel, my trade paperbacks can be ordered at desertbookshelf.com, personalized and autographed by me. JP. Although I played with the idea to do a follow-up to Time Will Tell, or to add a fourth to my sabre-toothed cat trilogy, I decided I wanted to do something local to Southern Arizona and in a genre I have never experienced but with which I have always wanted to try my hand. I am, thus, working on a Tucson, Arizona mystery. Authors don’t usually like to share much of their work in progress, so here is my very brief description. An ex-police officer, private investigator, with relationship issues, a son he hasn’t talked to in years, a daughter in college, and an ex-wife across town, finds himself on the FBI’s most wanted list for a series of murders. Tucson’s serial killer is wreaking havoc upon his life and he and his girlfriend are on the run. Annie’s head bobbed with the rocking of her chair, her mind racing through the faces of every professor she knew on the MIT campus. “Your father didn’t fail, Annie,” her grandfather said. Dr. Hair closed his eyes. “Maybe we’ve been waiting for you,” said Grae. There was nothing but silence from the men. She shook her head. “No! The entire idea is crazy. You were right to shut the thing down because I think you were playing with fire... with God’s fire. You were lucky that the only bad thing that happened was my mother’s death. If you think that I’m going to jump at the chance to go back in time so that I can talk to Tony again, you all are crazy. It may not look like it but I am trying to get over him. I don’t want to drag that out any longer and seeing him again, especially when I know he will die, would probably be more than I could bare.” She stood and shook her head. “No. No not only for me, but I think it should be no for all of you. Destroy this thing and put it away for good.” With those words she strode out of the room and out of the house. R.E. 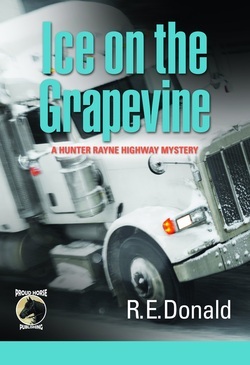 Donald is the author of the Hunter Rayne highway mystery series. 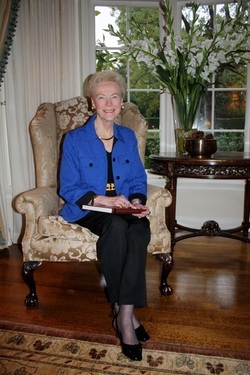 Ruth worked in the transportation industry in various capacities from 1972 until 2001, and draws on her own experiences, as well as those of her late husband, Jim Donald, in creating the characters and situations in her novels. Ruth attended the University of British Columbia in Vancouver, B.C., where she studied languages (Russian, French and German) and creative writing to obtain a Bachelor of Arts degree. She currently lives on a small farm in Langley, B.C., where she and her partner, Gilbert Roy, enjoy their Canadian Horses (Le Cheval Canadien) and other animals. When shy, sixteen year old, Olivia Hart, witnesses the actual rainstorm her ex-boyfriend, Max Smarr, creates in Pandora high school's cafeteria, she’s convinced she’s lost her mind. Nothing will prepare her, however, for the discovery of her own special Gift. 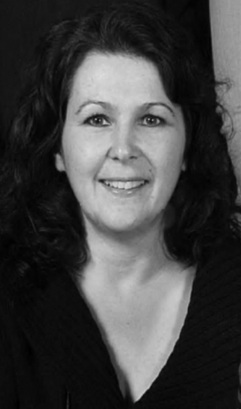 Alana Siegel is the author of the Olivia Hart and the Gifted Program fantasy young adult series. She was raised on Long Island, New York. 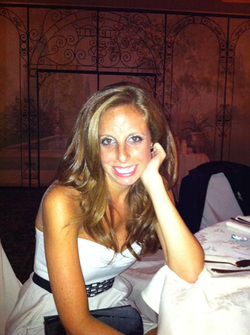 She was the valedictorian of Plainedge High School and graduated with a B.A. and double major in Finance and Accounting from the Leonard N. Stern School of Business at New York University. She currently lives in San Francisco, California, with her fiancé, Stefan Mag, and their ragamuffin cat named Zeus. Since early childhood she has loved to read fantasy books. Add a little romance and a happy ending and in her eyes you have a perfect afternoon of reading. The world of Adrian Bolt shattered as his wife lay butchered on the floor of Castle Verliege. His conviction by a German court was as swift as the sword that killed her. He maintained his silence knowing his story would not be believed. Though his reputation was impeccable there was nobody willing to stand for him. Another world lay in wait for anyone living within the walls of the castle; waiting, watching, for eternity to keep the Mueller name upon its registers. There is only one world here for those who choose to stay. To enter its doors is an invitation you will not soon forget! 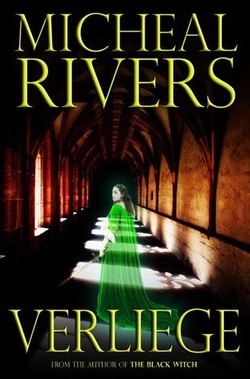 "...Like Gilman, Hodgson, and Lovecraft, the richness of dialog is not lacking in Rivers's prose...Rivers does not so much stand upon the shoulders of these giants as he rubs elbows with them." " ... writing is so descriptive you will feel like you are there, in the story." "...an offering so realistic... His protagonists have a realism that is not often found. " - Karen Doering "Parent's Little Black Book"
Micheal Rivers, born in 1953, is an American author. 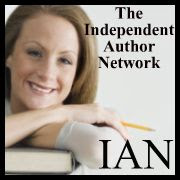 His writing genres include Thriller,Paranormal and Horror. Micheal has been writing for several years. In the past he concentrated on Romantic Poetry. 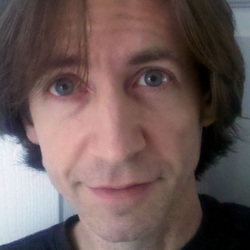 In recent years he has focused on writing Fiction and Paranormal stories. 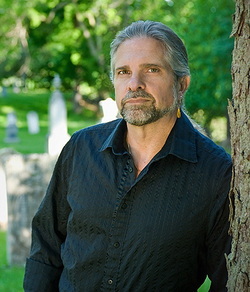 Micheal has over thirty years of investigating and collecting stories of the paranormal. 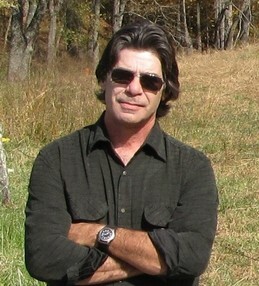 He is the lead investigator for the Smokey Mountain Ghost Trackers of Western North Carolina. He served his country as a United States Marine during Vietnam. He is a native North Carolinian. He lived in the Chicago area in the past and furthered his education there. He served the community as an Emergency Medical Technician while living there. Micheal currently resides in the mountains of North Carolina along with his wife and his Boxer he fondly calls Dee Dee. 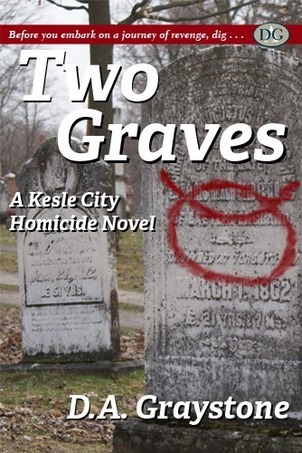 "If you're a fan of fast paced serial killer drama you're going to love this one!" "Graystone has done an excellent job in creating an interesting and fascinating book."